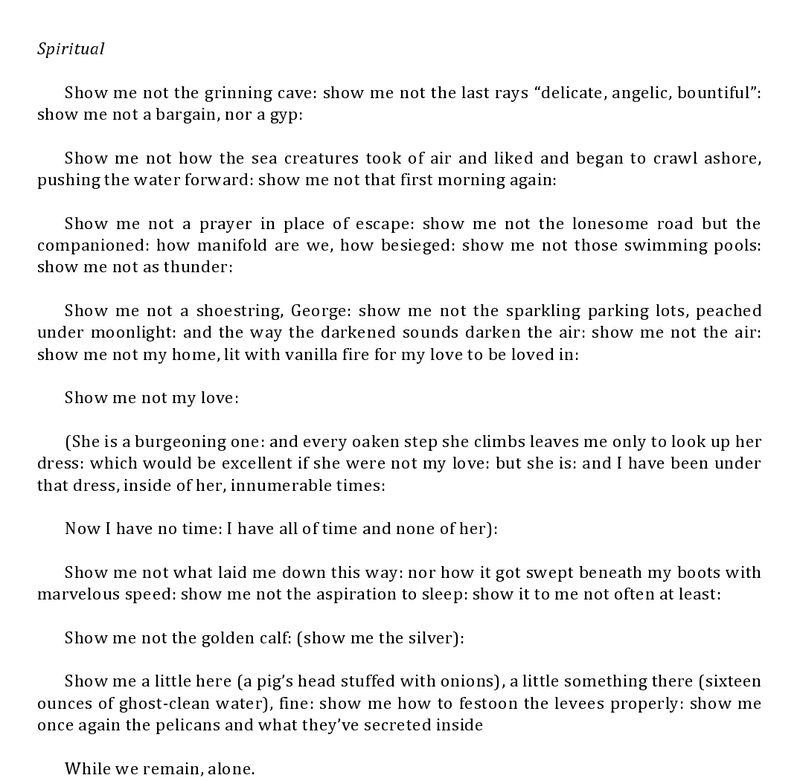 — “Spiritual” was originally published in CUE (Volume III, Issue 2, Spring/Summer 2006). It is “about” Katrina, though I hope like any good poem, its various analogies speak to any manner of degradation of human and/or material spirit, not just by the perpetrators but by those, including the author, who’ve stood by, in their own estimation, silently. 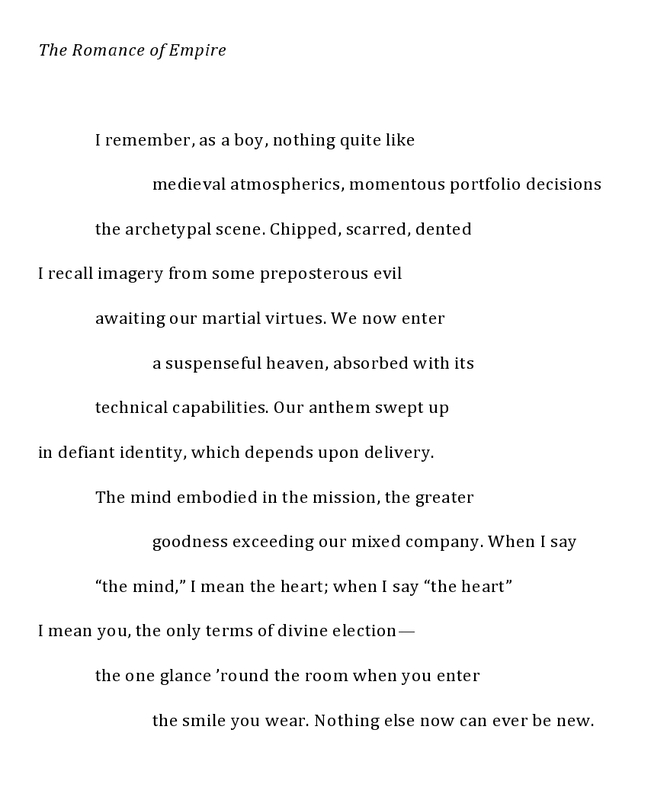 — “The Romance of Empire” is a previously unpublished sonnet and a found poem, many of the phrases before the volta taken and rearranged from an article by the same name by Thomas de Zengotita, which appeared in Harper’s (July, 2003). 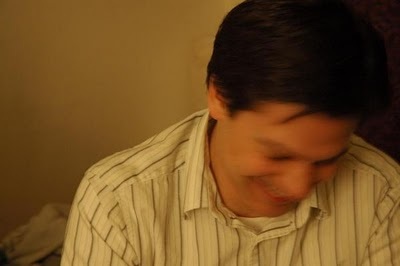 Michael Schiavo is the author of The Mad Song. 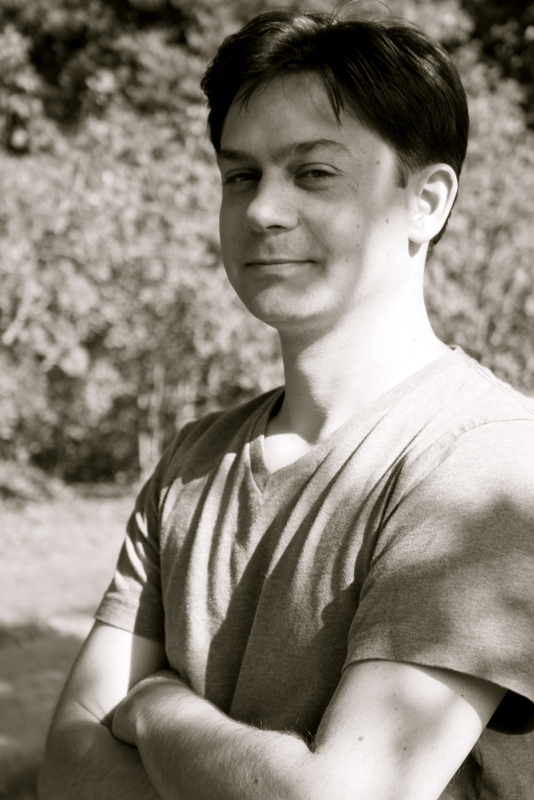 His work has appeared in Forklift, Ohio, LIT, La Petite Zine, CUE, No Tell Motel, Seneca Review, We Are So Happy to Know Something, Fou, and Tin House. He lives in Vermont.